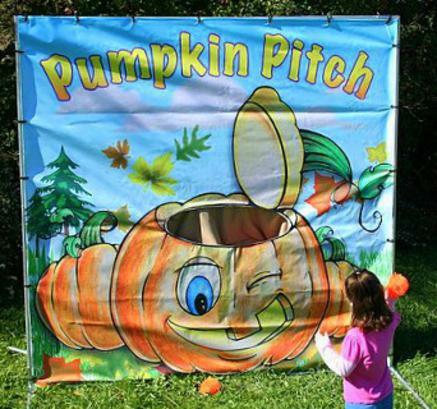 Pumpkin Pitch is a carnival game that is sure to make any fall festival or Halloween party a hit with kids.. The goal of the game is to pitch the adorable, squishy Jack-O-Lanterns into the pumpkin. This game can be set up in less than 5 minutes and can be used indoors or outdoors.